This is by far the most fun for kids that love bridges and walkways. You’ll still get plenty of soft trail but it’s such a fun mix. Yes, there will likely be mud in spots but nothing knee deep that normal shoes can’t handle. Since this is a loop and there are two parking lots, you can start at either. 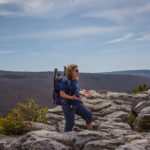 I’ll be describing how to hike from the Carrie Murray Nature Center. 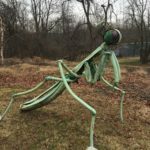 After parking, walk uphill towards the gazebo, pass the very large statues of a mosquito and praying mantis and walk past the nature center (hours: http://www.carriemurraynaturecenter.org). The gravel road continues to a set of picnic tables and amphitheater style seating. Walk through here and you’re headed the right way. You’re also in a small section of Nature Art in the Park (http://www.bmoreart.com/2018/04/nature-art-in-the-park.html) so if you see a ginormous spider…it’s really made out of twigs. 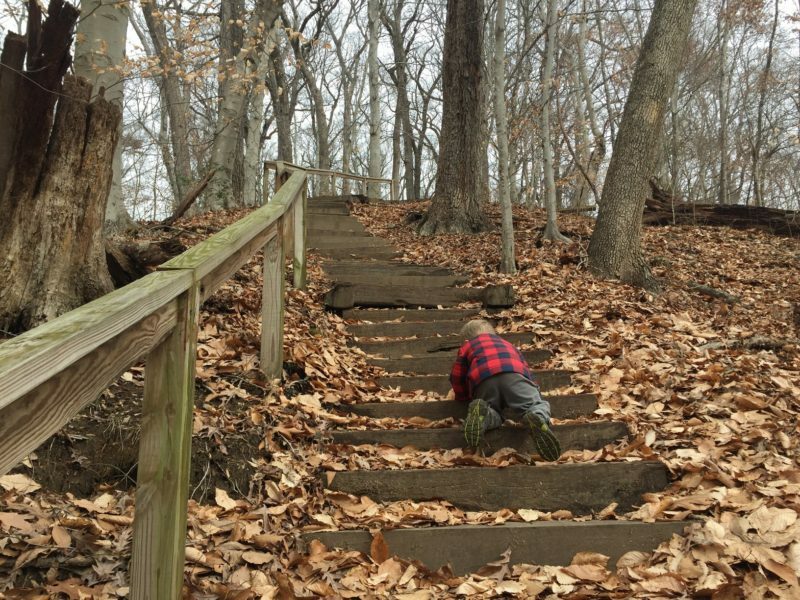 Follow the path down until you reach a myriad of steps. Once you go through the “tunnel” you’ve landed at the Ridge Trail (double white dots). You’ll follow this dirt packed and somewhat rooty pathway for just shy of 1/2 a mile. 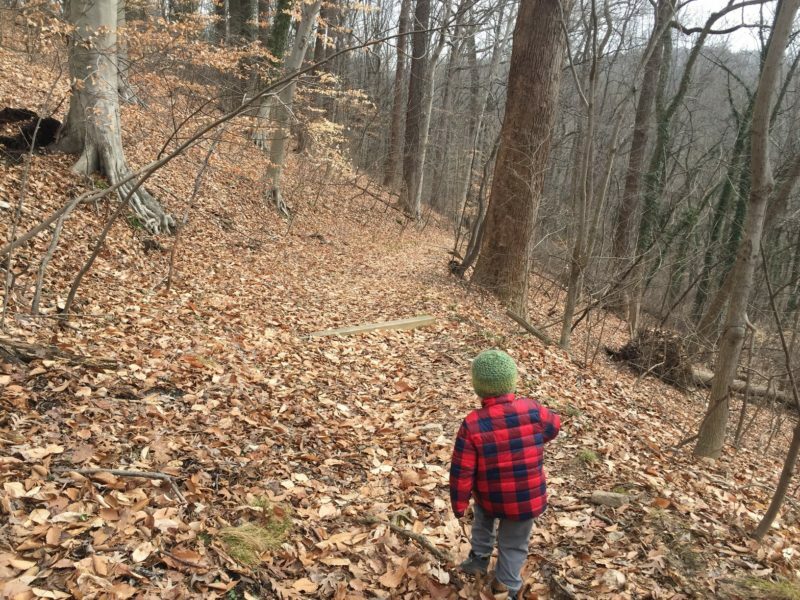 You’ll also be amongst towering Beech, Tulip Poplar and many Oaks. 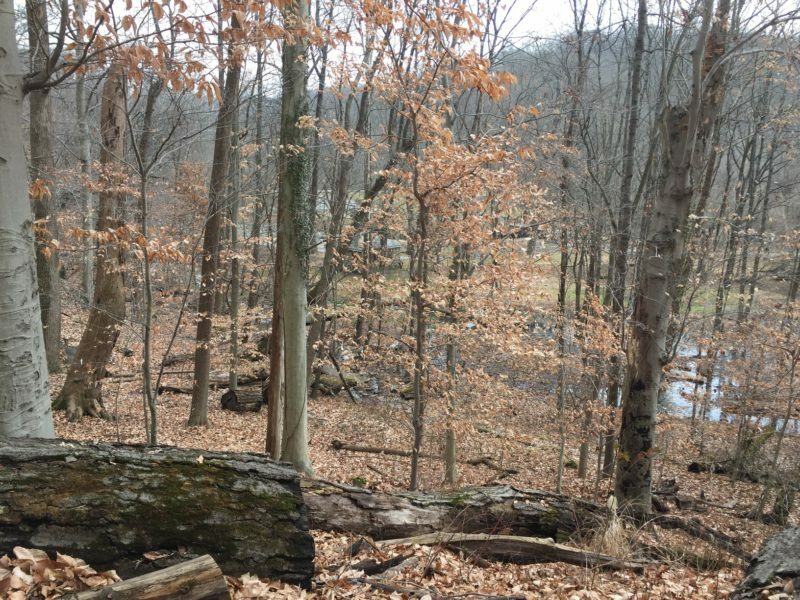 When you see a stream to your right (Dead Run) and a Road (abandoned and now Gwynn’s Falls Trail) to your left you’ve reached your turning point (you’ll also have switched to blue diamond blazes). 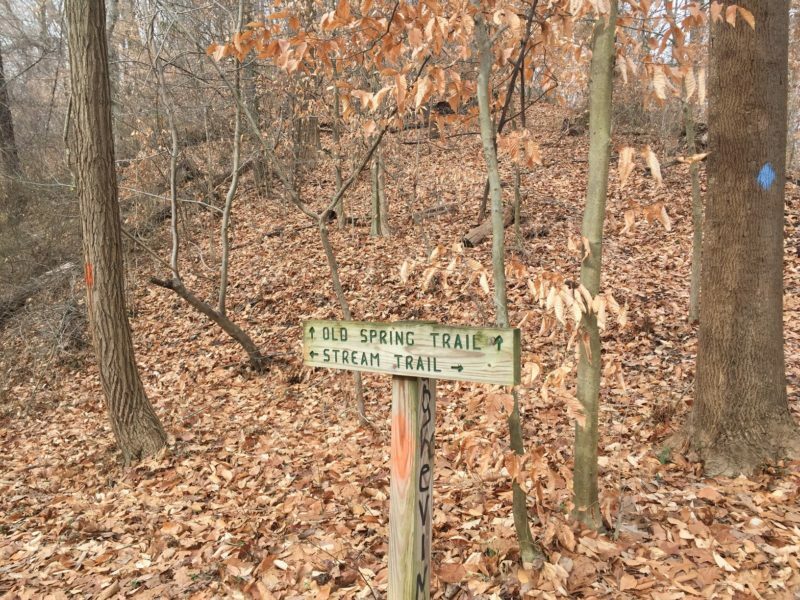 Depending on how wet it’s been you can either take the trail at the next intersection (Orange) right which is the Stream Trail, or walk across the foot bridge to the Gwynn’s Falls pavement and head right along it. Both follow the Dead Run, are flat and the same distance. Once you’ve reached the next foot bridge you can make the same choice. 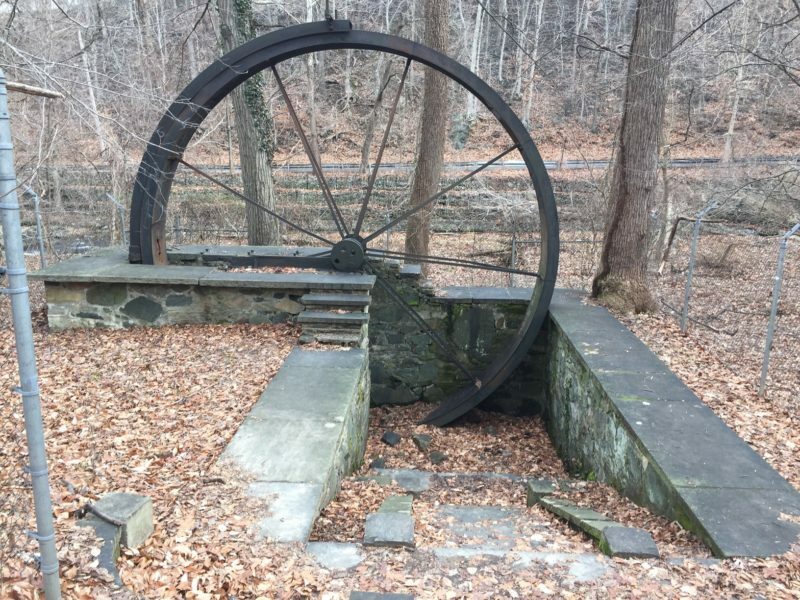 We like to pass the bathrooms (and use them as needed) and take the next foot bridge to check out the Water Wheel. This iconic landmark is featured on all descriptions of the Gwynn’s Falls. To head back, you’ll pass though a massive open field….and yes it is a great time to roll down (almost 100 feet over less than 1/8 of a mile). 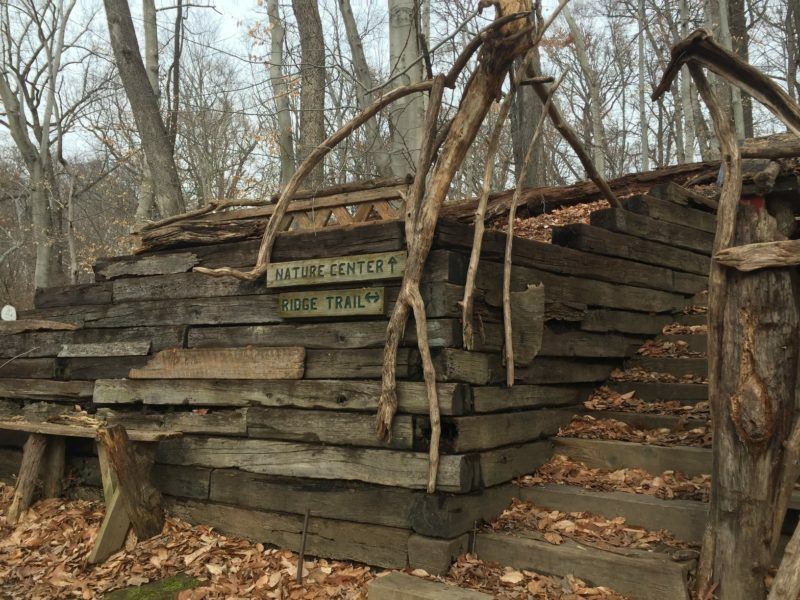 Stop for a snack at the Ben Cardin pavillion or explore (with caution) the ruins of old buildings. Follow signs for Ravine Trail and once again you’re back in the towering Beeches. Follow back across two more boardwalk bridges and you’ll have a choice of a sloped return or our favorite the 68 steps.